Christmas is a big deal in our family. A regular tree from any old lot just wouldn't do. After correcting an initial problem with the lens, when the Hubble Space Telescope was first launched in 1990, the floating astro-observatory began to relay back to Earth, incredible snapshots of the “final frontier” it was perusing. 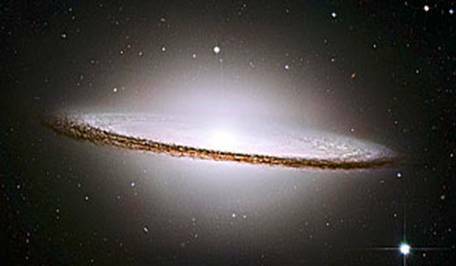 The Sombrero Galaxy – 28 million light years from Earth – was voted best picture taken by the Hubble telescope. The dimensions of the galaxy, officially called M104, are as spectacular as its appearance. It has 800 billion suns and is 50,000 light years across. The Ant Nebula, a cloud of dust and gas whose technical name is Mz3, resembles an ant when observed using ground-based telescopes. 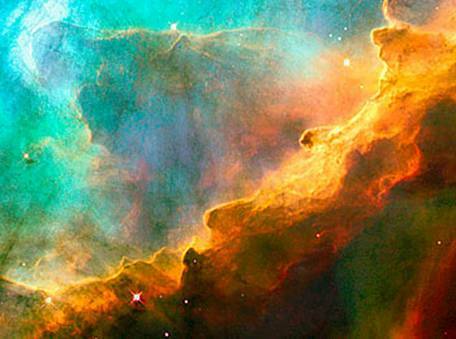 The nebula lies within our galaxy between 3,000 and 6,000 light years from Earth. 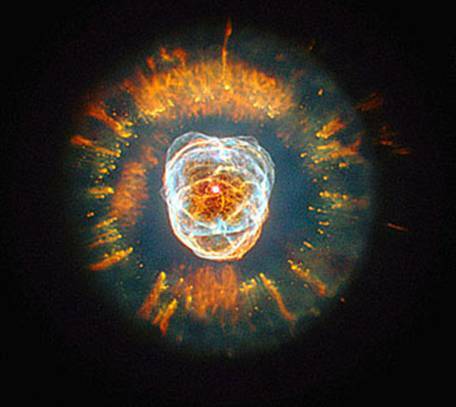 In third place is Nebula NGC 2392, called Eskimo because it looks like a face surrounded by a furry hood. 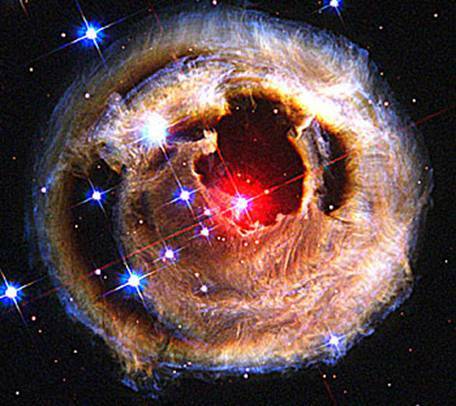 The hood is, in fact, a ring of comet-shaped objects flying away from a dying star. Eskimo is 5,000 light years from Earth. 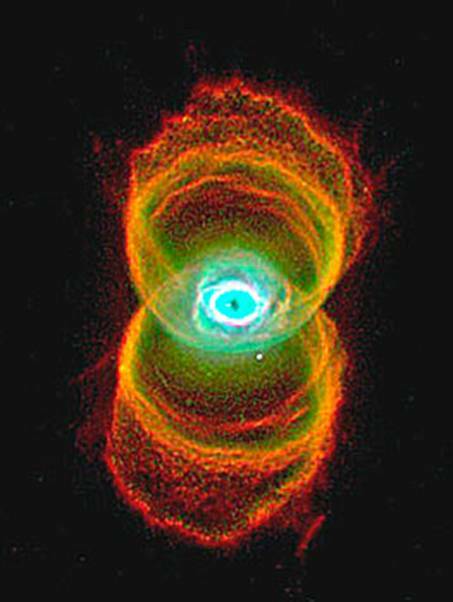 The Hourglass Nebula, 8,000 light years away, has a pinched-in-the-middle look because the winds that shape it are weaker at the centre. The Perfect Storm, a small region in the Swan Nebula, 5,500 light years away, described as ‘a bubbly ocean of hydrogen and small amounts of oxygen, sulphur and other elements’. The Trifid Nebula. 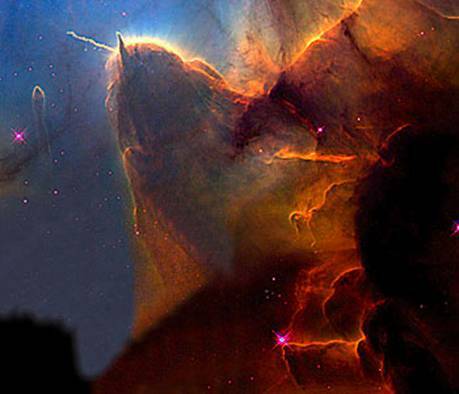 A ‘stellar nursery’, 9,000 light years from here, it is where new stars are being born. Why show all this beauty as just these small stamp-sized pictures and not link to high-res versions? Who the heck voted, anyway? How come they never take pictures of Earth with Hubble? I would like to see what/how Hubble can see Earth. 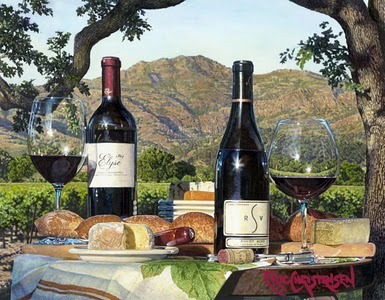 And I believe most of these images have been rendered by artists. Nice list, but top 10 lists should be in descending order. I gotta agree with HertzaHaeon. Links to high res. 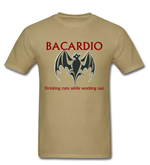 versions would be easy, and your readers would be very appreciative. Now I have to google them myself. Amazing photos. 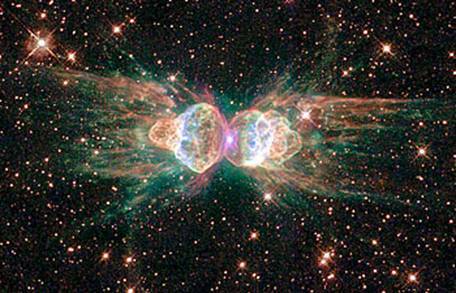 The Ant Nebula & The Perfect Storm are spectacular. I agree with HertzaHaeon though, why not any High-res images? Any KML file available to check them out in Google Earth/Sky? 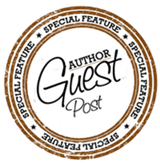 Please post galaxies, plantet and any interestng topics from the saliet features of the Universe. The photos posted are fabulous ad briang lots of pleasure to me. “How come they never take pictures of Earth with Hubble? I would like to see what/how Hubble can see Earth. To answer your first question, Hubble can only look at very faint objects at far distances. Also, Hubble cannot track objects on Earth due to the shortest exposure time on any Hubble instrument is 0.1 seconds and during that time, the Hubble moves about 700 meters, making an image of the Earth nothing but a streak. And these are not artist renditions. The colors on these images (except for the Sombrero galaxy I believe). 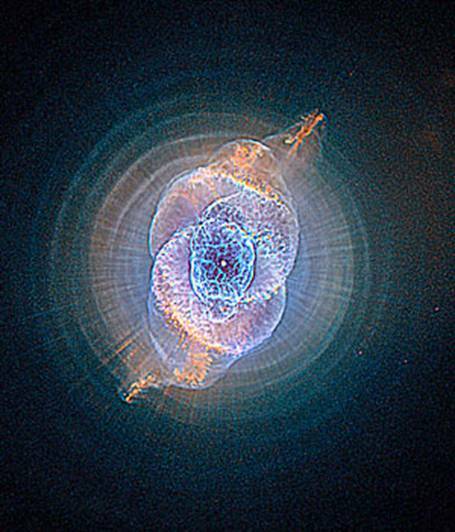 Color in astronomical images rarely shows what is commonly called “naked eye color” and is instead to highlight structural elements too faint for the human eye or to show dispersion detail of chemical elements. This story has been submitted to Stirrdup. Your support can help it become hot. The colors on these images (except for the Sombrero galaxy I believe) are done using false color processing. Thank you for the great images. While everyone else is whining about hi-res images and how they were all laid out, I was equally stunned by all photos and I’m sure many others were. Keep up the good work and don’t let these clowns get you down. The universe is so beautiful. 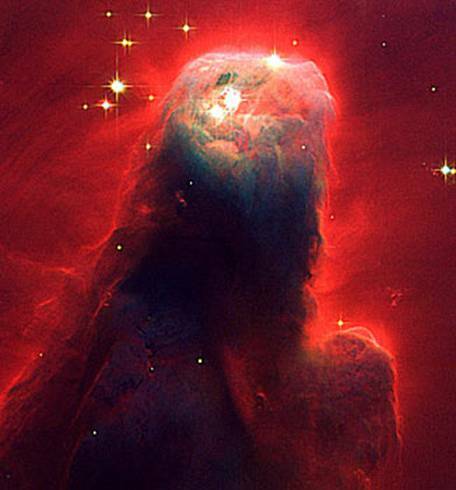 The Cone Nebula looks blatantly more like an eagle with wings, a beak and a stary eye. what idiot named that one?! wow, these are such cool images. Fantastic pics. Thanks for posting them. As someone that’s very busy I’m always grateful to find that someone out there has the time or puts in the effort to make interesting material easily available. I’ll keep coming back to see if there’s a link to hi-res versions or screen savers. Thank you for showing them. I would like to get a poster size one day. Thanks so much for spotlighting these fab pics. Awe-inspiring! “…deeply strange but also almost impossibly beautiful” – I couldn’t have put it better myself. Dont u have information about the history of the nine planets? why always questioning everything… just enjoy the beaty of it all and permit yourselves to be in wonder!!! Just think, a lot of people (unbelievers) think there is no god. But looking at these images I know that God believes in people, just look at what He gives us to look/think about. They are just as inspiring as, to me, as our DNA. Is in it the Eagle Nebula one of the best taken by Hubble as well? This is good! I hope the next generation telescope will probe much deeper or closer to other galaxies. Would love a set of hi-res files. These are beauties of nature that should be shared. I’d love to print larger versions for my wall. BEAUTIFUL, more reason to be able to explore. Because there are so many images, you need to be able to search by name, so I recommend you keep one browser window open to this gallery, and another for searching on Hubblesite for the same image there. Elaine Stritch: Shoot Me (2014), a brilliant documentary about a brilliant performer. Dead Houbara bustards -- after a hunt by Arab royals in Pakistan's Sindh province. This is an amazing moment that’s as crazy as it is brief.